It was a busy week at CentiMark and QuestMark with fall charity events. CentiMark and QuestMark offices in Canonsburg, PA participated in the Southpointe Relay for Life for the American Cancer Society. 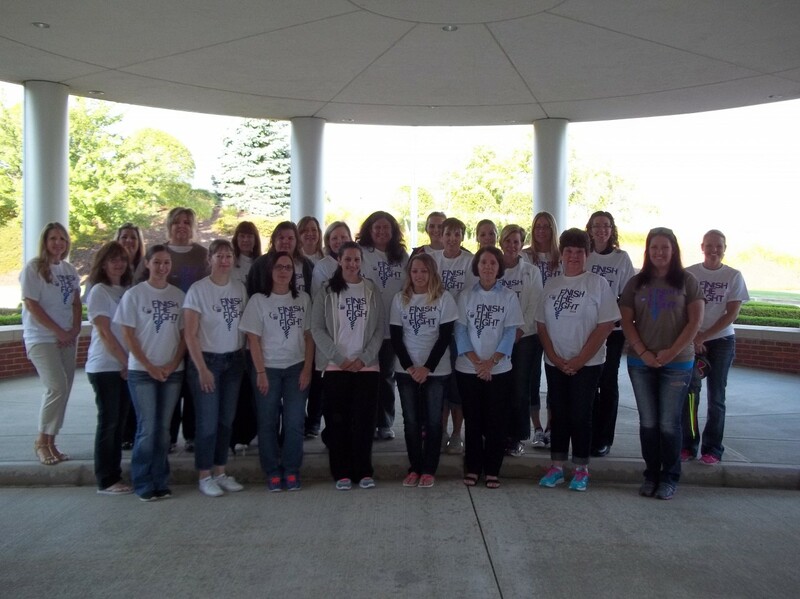 Our team raised $6,538 for the Walk in our business park. Special thanks to Safety & Risk Department's Leeann Wood (below left) and Larissa Kelly (below right) for coordinating the volunteers and helping to make the day a success. In Orange, CA, our CentiMark office participated in the Orange County Brain Tumor Walk in memory of Jeff Fohrman, brother of CentiMark's Jim Fohrman. Walking with Jim Fohrman and his family were CentiMark's Sammy Zepeda Jr. and his family and Lucy Marchan and her family.